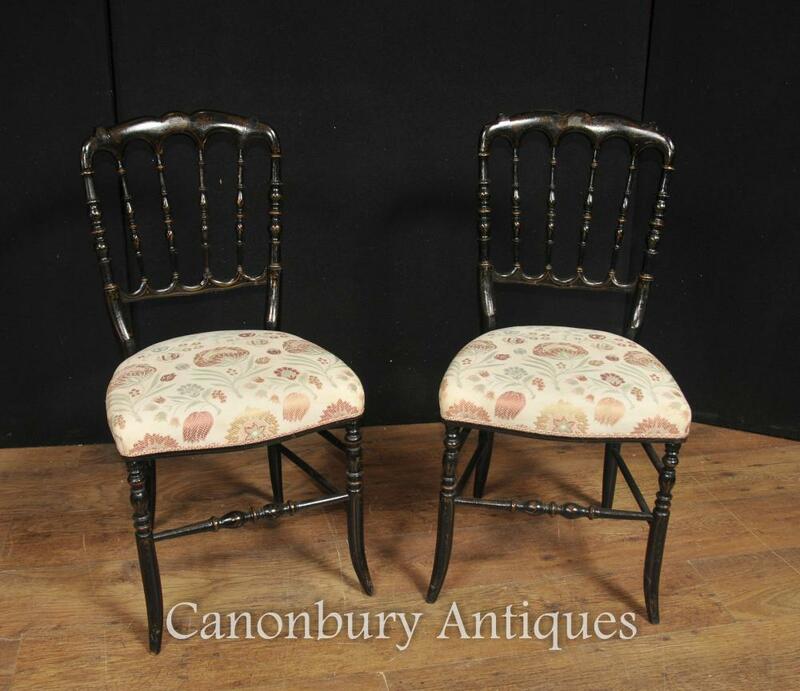 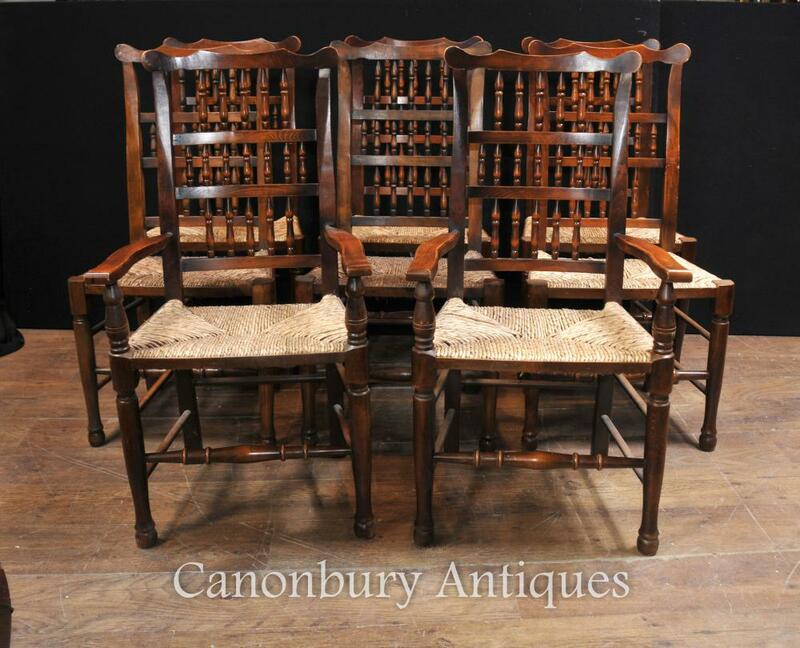 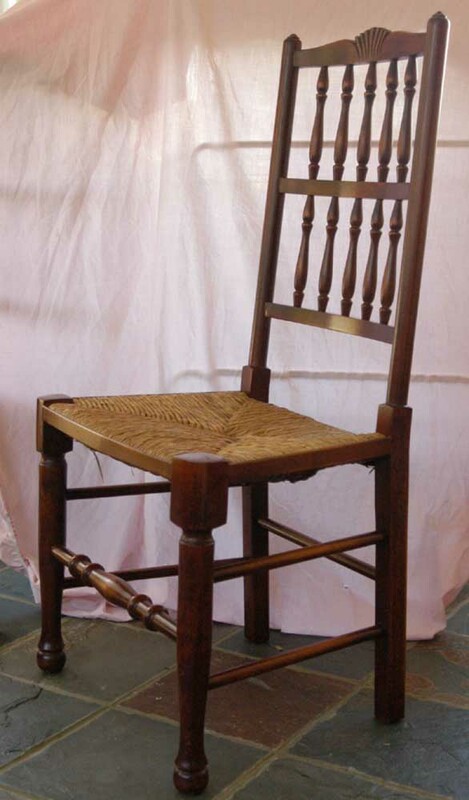 You are viewing a set of eight English oak spindle back chairs consisting of two arm chairs and six side chairs. 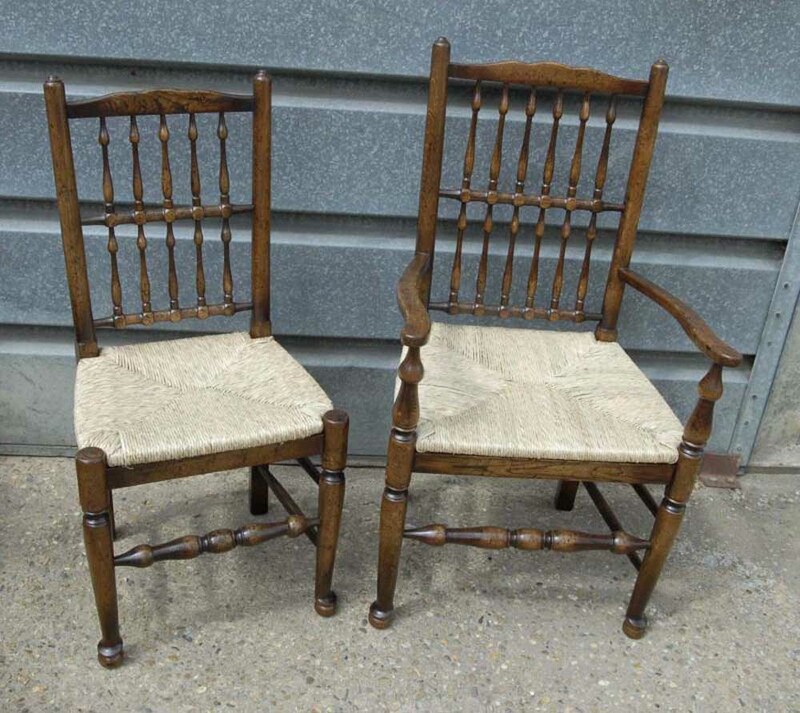 They are the ultimate dining chair and have the flexibility to also suit the kitchen. 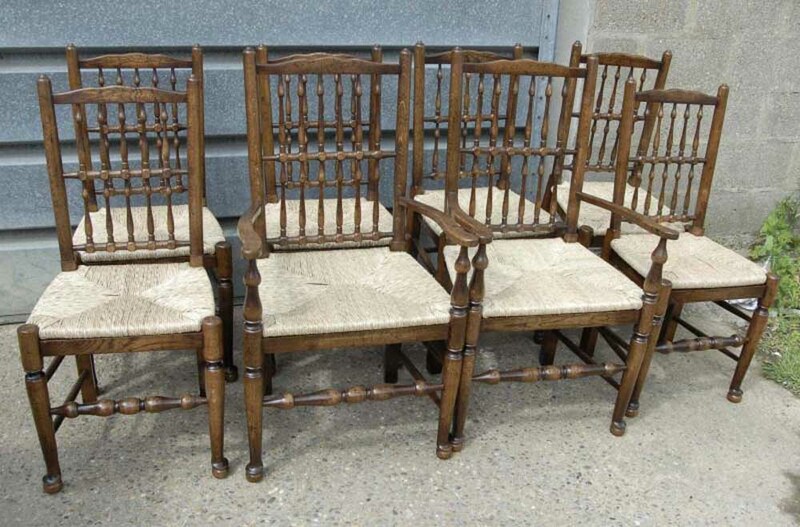 I have a similar set in my dining room at home of which I have included a picture to give you an idea of how they look. 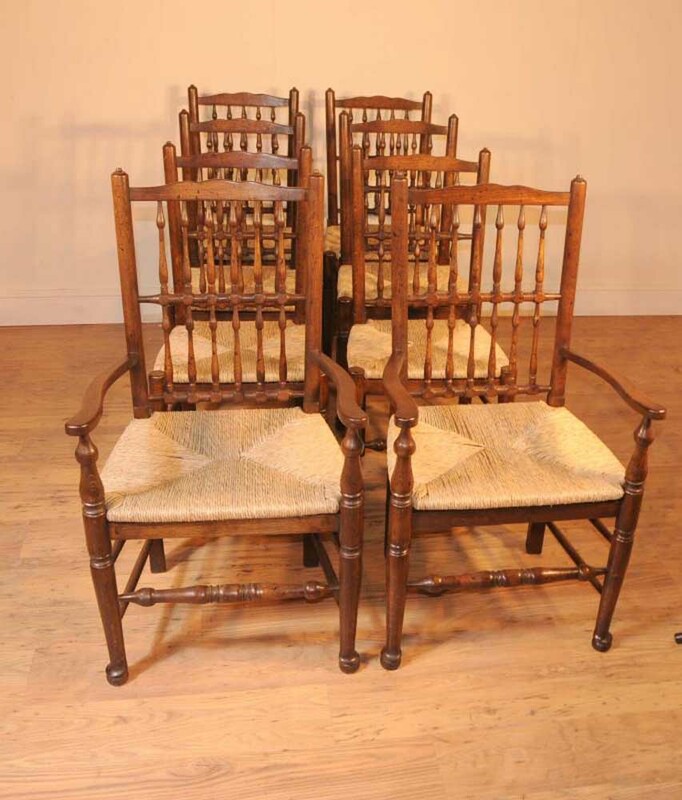 They are hand woven rush seats too so they are very comfortable to sit on.